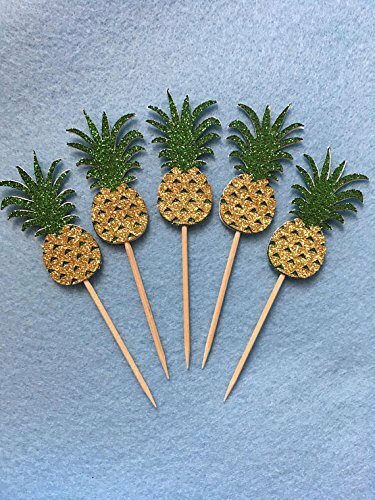 Pineapple cupcake toppers, cut out of premium glitter cardstock color green and gold. These cute pineapples measure 1 1/4 inches wide by 3 inches high, they are double sided. If you have any questions about this product by Little Factory Crafts, contact us by completing and submitting the form below. If you are looking for a specif part number, please include it with your message.